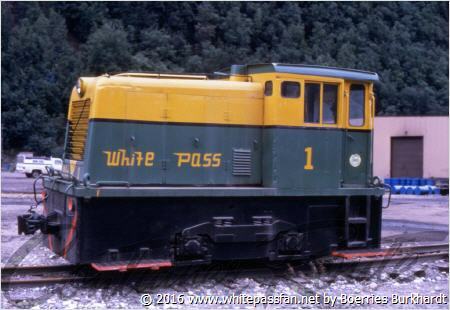 To replace the gas switcher #3 who was destroyed during the roundhouse fire in 1969, the White Pass ordered two used General Electric 25 tons and 1947 build diesel. 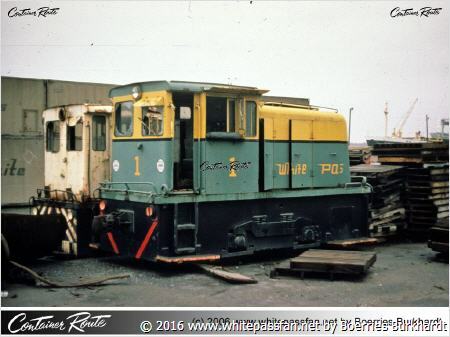 The WP&YR #1 had C/N # 29191, WP&YR #2 had C/N # 29195. Both with 150 hp. Original they came from the Colorado Fuel & Iron Co. as their #6 and #10. 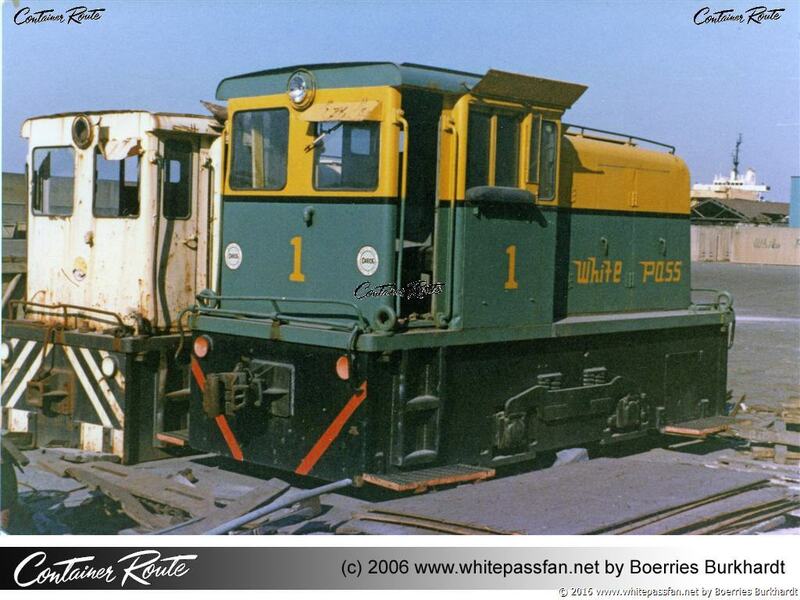 WP&YR #1 retired 1979 and was donated 1985 to the B.C. Forest Museum at Duncan, B.C. Canada were it is still on display. 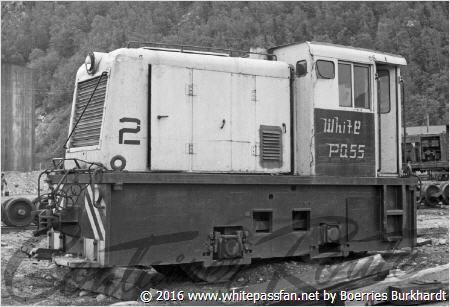 WP&YR #2 retired 1972 and was scrapped 1985 at North Vancouver, B.C. General Electric 1 at Skagway. 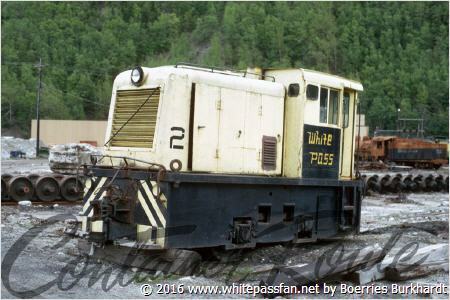 Both GE's 1 and 2 were standing here at the White Pass & Yukon Route docks at North Vancouver, B.C.. 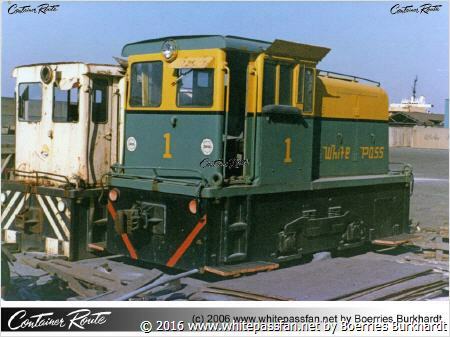 The picture was taken by David G. Steer in 1981. Here the oposited side from the previous image. 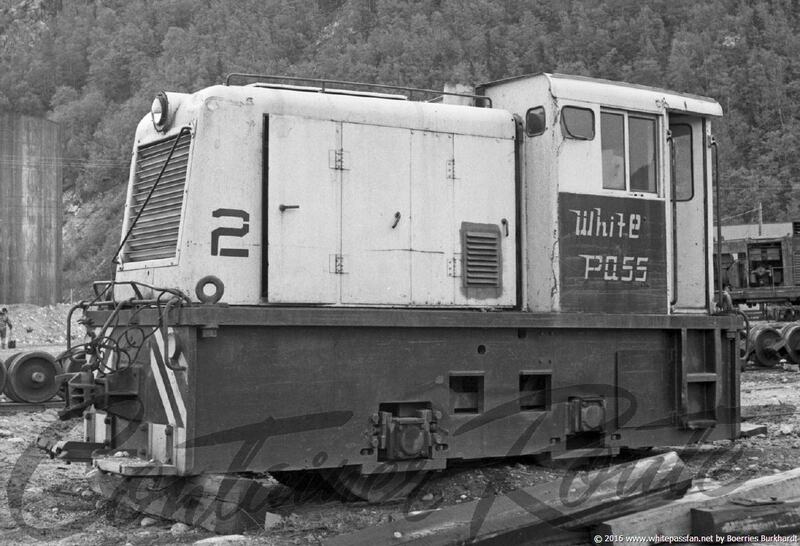 Again, the two engines GE 1 and 2 were sitting here at the North Vancouver White Pass docks. The picture was taken in September 1981. Small Skagway switcher at Skagway yard. 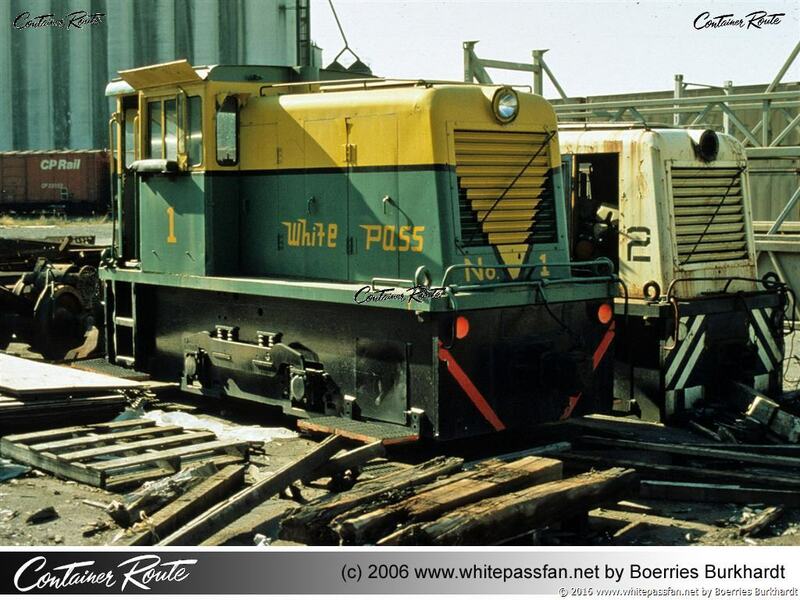 In the background we see Baldwin 72 who was destroyed during the big fire in 1969. 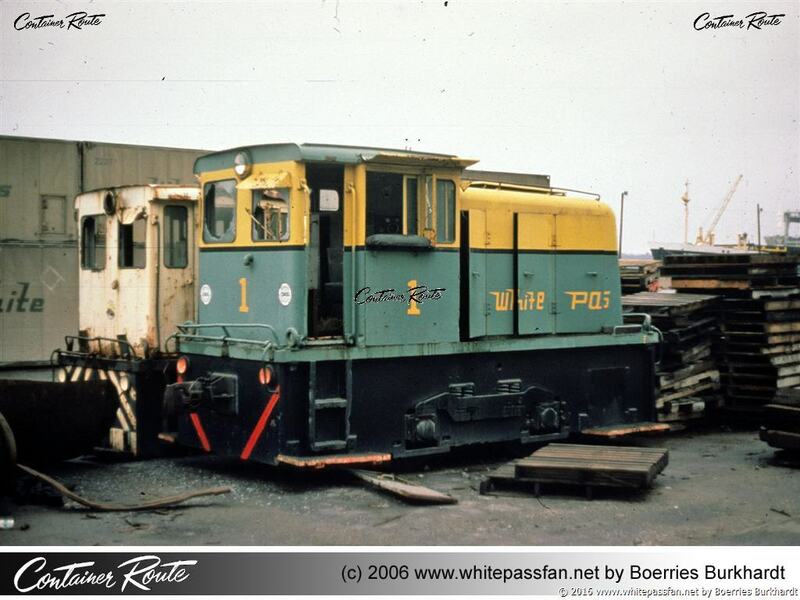 Boerries Burkhardt Collection.